Early Grids of Milton Keynes, Eaglestone and Netherfield II. Built Forms and aging process. 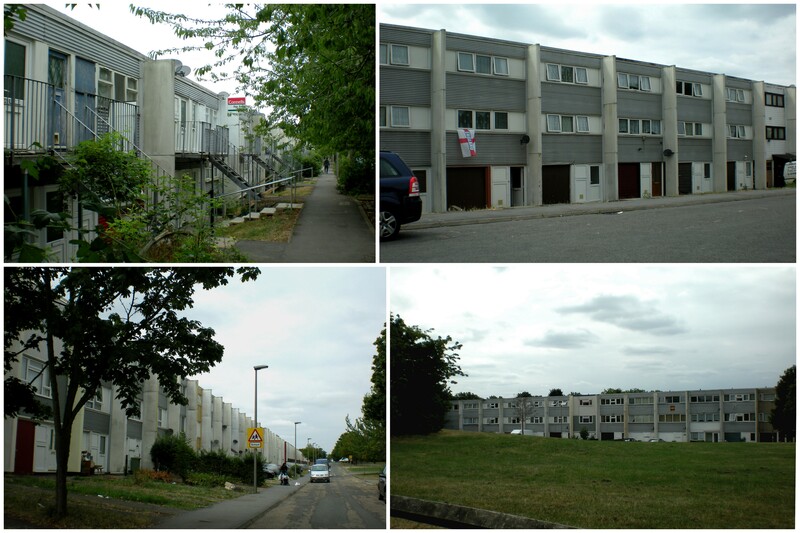 Robert Mawell continues to consider the decisions architects took to produce these schemes which are poles apart, representing the opposite ideas of environmental quality. Eaglestone in superficial sense is jumbled, seems to be representing rural individuality and dominance of of the parts over the whole and suggests that there are qualities of megalomania. Perhaps betraying a loss of confidence in the capability of design to satisfy people. Maxwell says that a great many critics make a moral identification in favour of informality, spelling freedom. Netherfield on other hand is considered to be regimented and stands for urban regularity and dominance of the whole over the parts. Unlike Eaglestone we encounter qualities of accident. Formality is considered by most an imposition and ‘inhumane’. 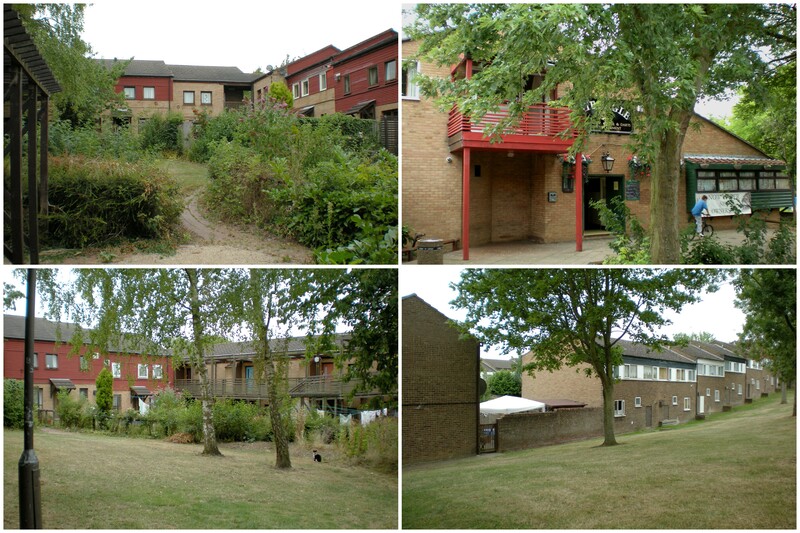 Next few paragraphs are devoted to the observed behaviour of residents of both schemes by the community worker who looked after both schemes and noticed no sign of misery in one and happiness in the other estate. She only saw residents identifying with their estates and good community spirit. Please remember that article has been written while the schemes were still under construction and only partially occupied. The decision was made to place houses in compact groupings and the open space thus saved was spread among the housing, creating varying situations with individual character to each part. The ring of housing was connected at various key points to the outside world for both pedestrians and cars. The peripheral feeder road served a series of square garage courts, walled and roofed like houses exploiting the hill top nature and irregularities of site. These tightly varied house groupings, consisting of rental and for sale units, located entirely on pedestrian network, and giving a nearly complete Radburn-type separation of vehicular traffic. There has been a complete avoidance of repetition of standard houses. Partly by jumbling the mix, partly by variation of window and door positions, each little group is made in some way particular. 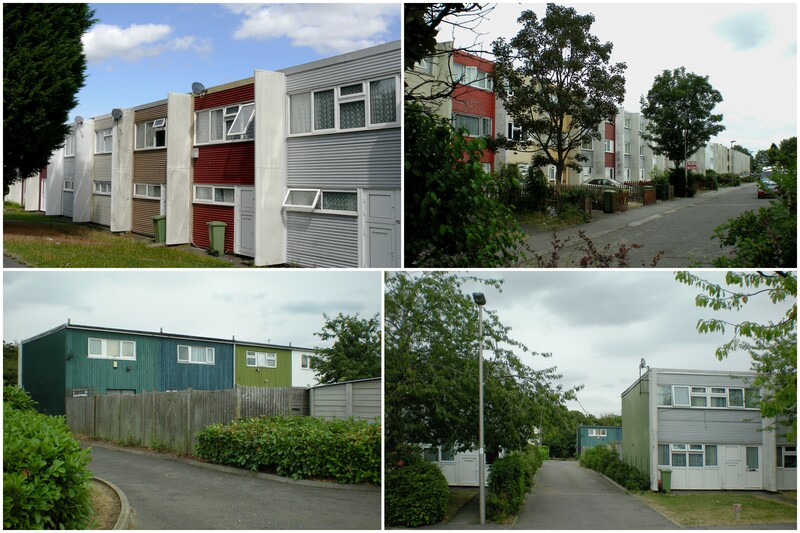 The variations of building materials, their colours and textures, size and proportions of openings, porches, dust bin enclosures; are all used to achieve lack of repetition which remains homogeneous despite regular rectangular house types. It is a world of total design, and yet made up of entirely banal and familiar elements, the construction kit of the spec builder. From outside the estate gives impression of hill village or casbah, narrow passages with Newmanish sense of closely observed lanes frequently opening in play areas and greens. By boxing of the cars into a built form the mechanical appurtenance of New Town life is suppressed, and the quaintness is possible. Two first schools, and the village centre are located to give a social hierarchy a topographical basis. 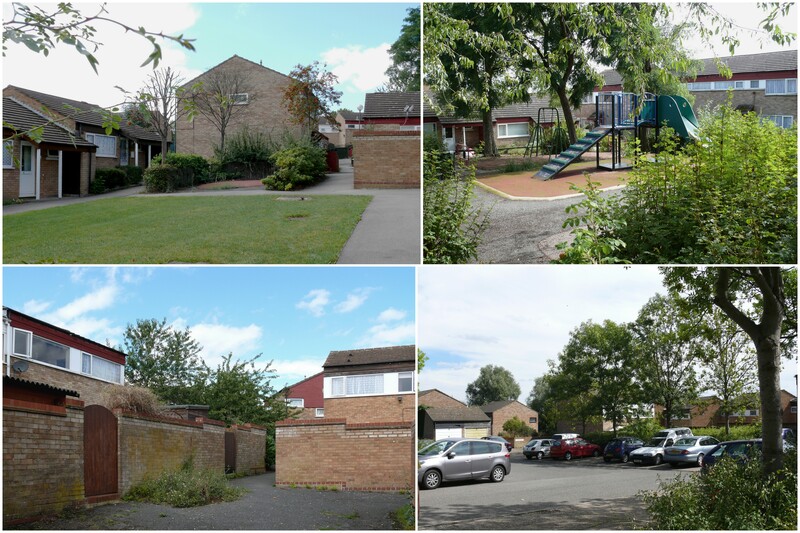 Starting with the individual family we progress through the shared play group space, the garage court, the first school, the second school and the community centre. If we can try to interpret the language of architecture, this architecture speaks of community, of social identity and cohesion, of the self-reliance and exclusivity of the tribe. Values such as these have a wide appeal today ( reminder: 1975 – I wish it was true for early 21st century) …. particularly for architect who are uneasy about the role of the self-conscious designer in mediating the expectations of the user through some filter of ideology. Eaglestone fulfils just this, combining a due modesty towards the user while projecting an unmistakable belief in efficacy of good design. 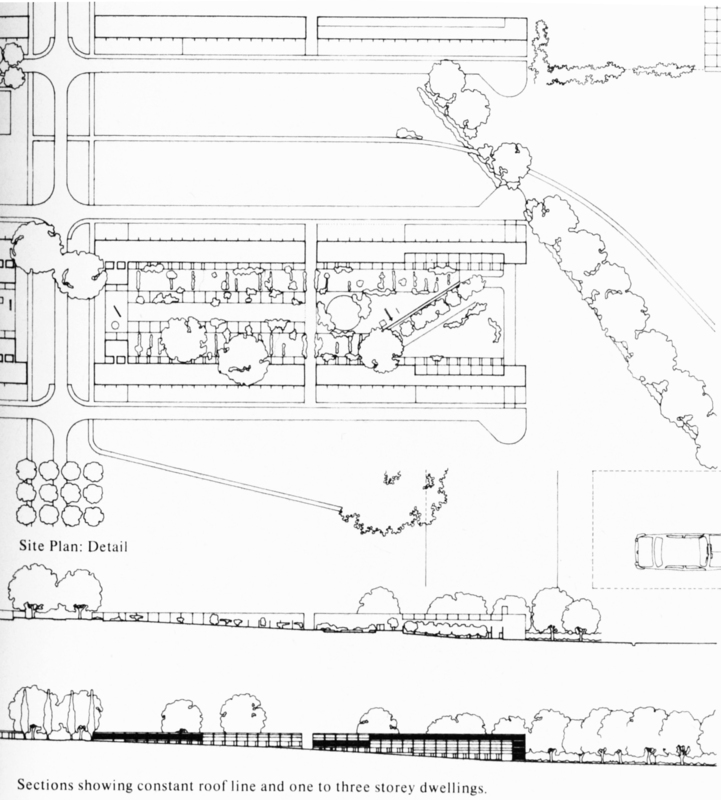 It comes plumb in the line of descent , through William Morris and Patrick Geddes, the moral mainstream of what was to be termed the garden city tradition. This line runs backwards through time to a romantic medievalism and the image of the city of God. It speaks of regeneration, of the retrieval of wholesomeness, of sharing of beliefs and habits. Garden city socialism is both genteel and pious. It is an escapism which questions consumerism but underlines the virtues of family and home. Escapism, nonetheless. Netherfield belongs to to a straight-line tradition which must appear anathema to jumble lovers, who no doubt are Eaglestone enthusiasts. Its evident formal precision and geometric purity indicates a direct interest in volumetric composition, independent of social symbolism. It bears the imprint of Corbusian purism rather than Miesian classicism_that is to say that it deals in tense dialectic between order and accident, a dialectic in which each quality is mutually intensified by the other. While Eaglestone is carefully assembled in a irregular jumble of box like houses, Netherfield has been assembled with the boxes carefully slotted into six parallel lines in three pairs. Varying contours on site have not been allowed to alter the roofline which remains constant but houses between one to four storey sit under this reference line, achieving a homogeneous building form, rather large in scale, yet also made up from modest elements. Clues to location and identity is not achieved by jagged roofs or varied materials or fenestration but by use of ground and topography, retained old hedgerows and trees crashing through rows of houses; a constant dialogue between design and incident, not diffused like Eaglestone but celebrated here. Ed Jones told David Maxwell that they were working within the tradition of English landscape design which contrasts formal precision of archetype and informal variation of nature. The contrast, in which both nature and art are juxtaposed, but not opposed, is conducive to a sense of life as a lived art, of life enhanced by art. The audacity consists in reviving this attitude, not for the setting of an aristocratic mansion but for people’s housing. The houses, as in the terraces of Nash, coagulate to form an image of civility and aspiration: the individual house shares, not in a community, but in a life-style. Each and every house has a car access to road frontage leading to the front door, enjoys similar conditions to each other, not unlike Georgian and Victorian terraces in towns and cities. Differences of furnishing and furbishing, which are muffled at Eaglestone by Erskine’s eagerness to have each house different, stand out here through the coolness of the format as entirely individually motivated gestures. The houses are aligned for car access to road frontages, facing across the road to common parkland. 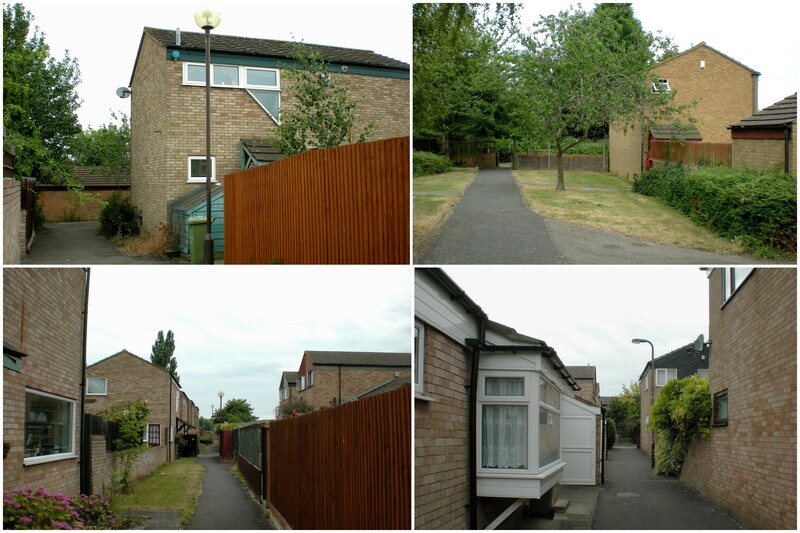 Behind the houses are private gardens, back to back, occasionally interspersed with mews. Every house enjoys exactly similar conditions but completely open at either end to the outside world_ the world as it is, production, consumption and all. For this estate is not a model of a community , but of a class: the extended middle class made up of people who feel freer from penury and exploitation than did their grandparents: who feel that now they can look after themselves. But what New Town is aiming at such a future? .. it must.. promote the good life. Netherfield does not depict a scarcity economy, and so is politically defined on the side of choice and variety. 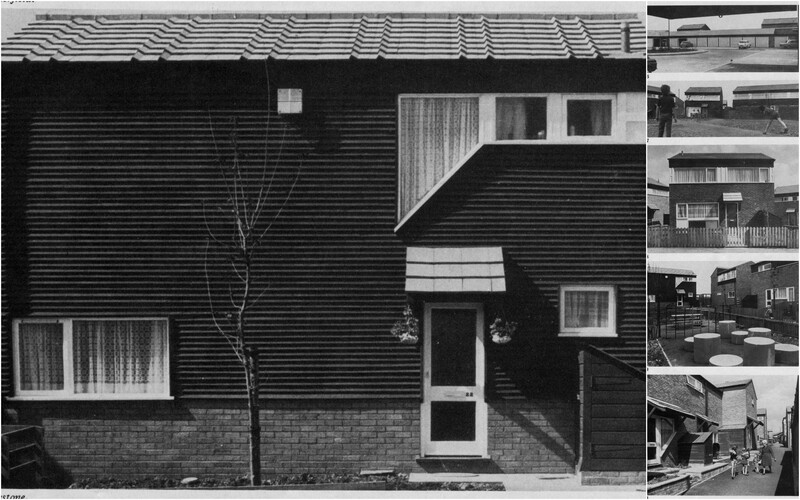 Is Netherfield an architectural conceit, an artifice, because it deploys a clear formal order? Or because it revives and recasts an eighteenth century aesthetic? Clearly it is no more and no less artificial than Eaglestone, which deploys an expressionist language of nooks and crannies, and revives and recasts a medieval aesthetic. Maxwell thinks given the exigencies of construction of large number of houses… Eaglestone ‘jumble approach’ has little to do with realpolitik of the package deal. Netherfield is closer to our time in a practical as well as ideological sense, its terraces absorb the industrialised construction smoothly and sweetly: indeed it is a pleasure to see industrial regularity being civilised by a powerful aesthetic instead of being itself the content of the aesthetic, as with the modern movement. If we are on the brink social revolution, the choice of an aesthetic will seem pretty irrelevant. Such a choice will only have a meaning if our society finds away of preventing exploitation and promoting welfare and justice through continuous evolution. A dialectic of ideas requires the generation of alternatives, not the imposition of dogma. If I were to live in Milton Keynes, I would choose Netherfield rather than Eaglestone: you might choose otherwise. In any case, to enjoy the experience we would both have to feel some identity of views with some of our neighbours. To expect architectural design to contain the element of choice is to give architecture too important a role, for it elevates it to the level of state instrument for manipulation of the masses. Hannes Meyer tried to combine dogmatic functionalism with dogmatic socialism in 1929: it is synthesis which the modern movement never quite pulled off. Let alternatives flourish. Through free experiment we will invent new interesting extensions of traditions to which we belong. Having finished quoting (and some poor summarising) this admirable article by Robert Maxwell originally published in Architectural Journal of 1975, and a time lapse of 35 years, I would attempt to bring you up to date. These schemes were built in heydays of MKDC’s most creative period of existence. Every project was attempting something new and it was difficult to absorb the full scope and direction this work was taking, as there was a lot of work coming out of the office and I was a bit too close to it to be very objective. 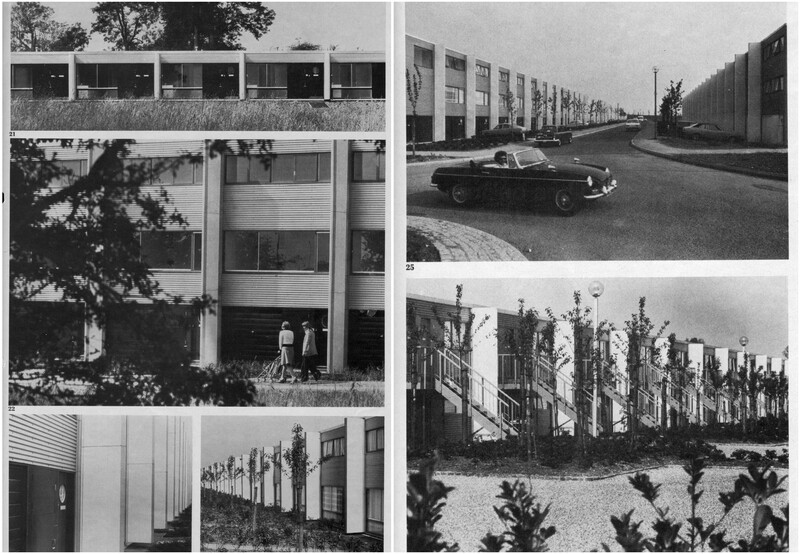 When I recently re-read the article and re-visited the schemes quoted above, my respect for author shot sky high for his clear historical grasp and brilliant observations making sense of the town planning and detailed incisive analysis of the two housing schemes with such differing characteristics. To cap it all, his prediction about the ‘disaster **’ Netherfield could face made me jump and led me to form this ‘one man fan club’. If you recall, the difficulties of building at this time lead to the choice of specific contractors and the chosen methods of construction. 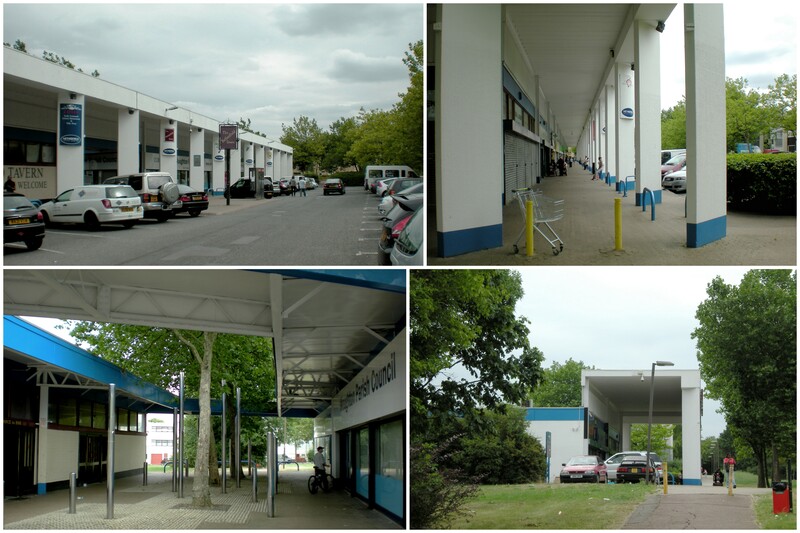 The housing within the adjoining grids at Beanhill (Norman Foster), Coffeehall (MKDC) had similarities both in construction and formality of layouts. It is no coincidence that this pressure to build up to 4000 homes a year, quickly started to lead to building failures in all these schemes soon after the completion. The leaking roofs, condensation, mould growth, sound transmission between houses, badly fitted and leaking windows created a nightmare situation on all these grids. It is also worth noting that the first sets of tenants for mostly rental housing came from some of the most socially deprived areas of London and Birmingham. 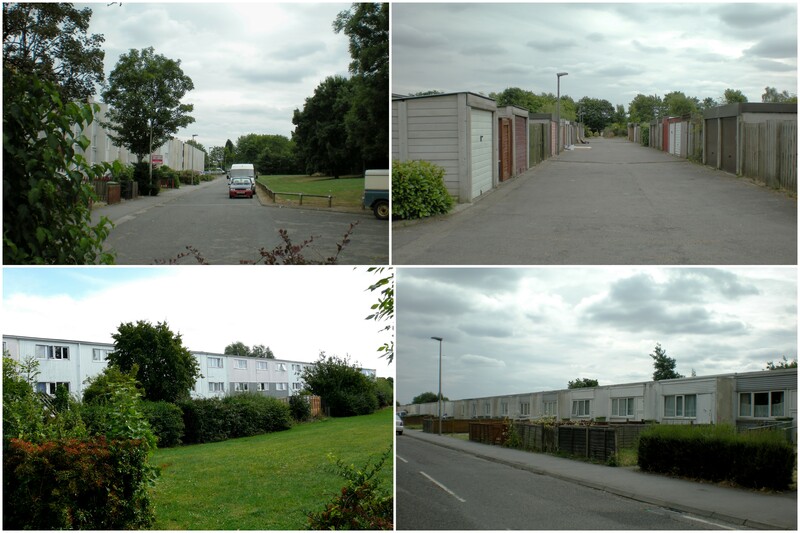 The first test waiting for these new communities was to react to this ‘hell’ they were provided to live in. As Maxwell predicted, the communities under a common threat reacted in unison despite their embryonic state. The first test of cohesive layouts and anticipated community spirit was passed with flying colours. The galvanised community sprung in action forming successful protest/pressure groups to demand quick and effective remedies for these problems. The social mix of tenants and failure of construction ensured that these estates started to look and feel deprived and failing in almost every sense very soon after their construction. The new tenants were refusing to move in, and only desperate, reluctantly accepted the offers to move in. Tenants had little opportunities and freedom of choice and they felt trapped in declining estates. 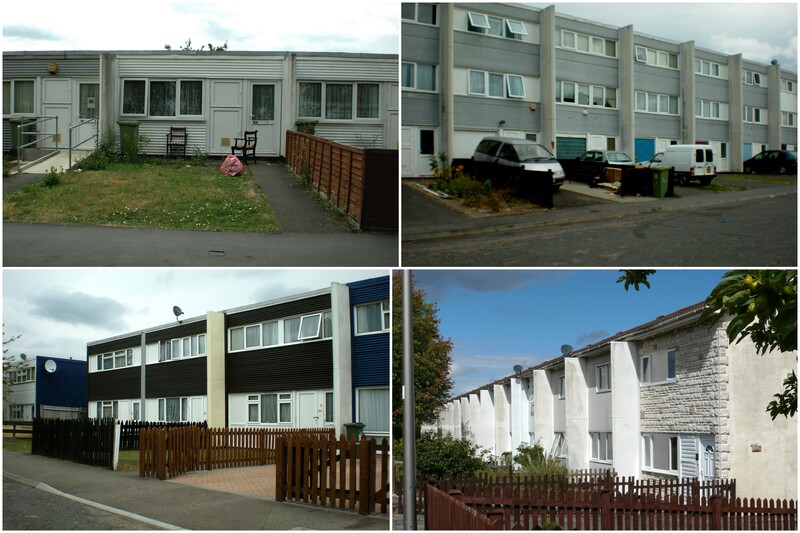 This reputation still remains to this day and the tenants, particularly recent immigrants with little or no income are being housed in some of these schemes. I personally felt very uneasy when taking photographs in Netherfield and my subsequent visit to nearby Eaglestone was a relaxed walk in Newmanish surroundings with children playing everywhere. Huge amount of pressure was exerted to put pitch roofs wherever possible; doors and windows replacement was extensive. 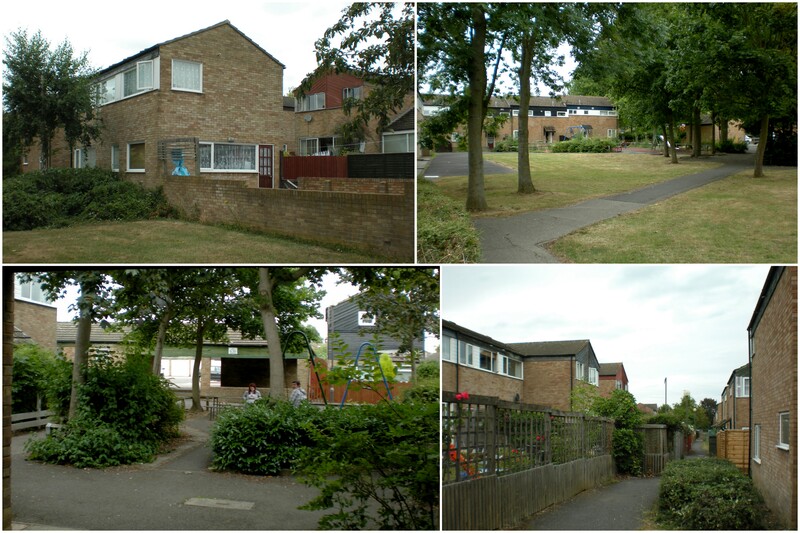 The maintenance of these estates is proving a serious problem to Milton Keynes Council which inherited most of the socially rented housing and community buildings is unable to afford this onerous task. A sad and unfair distribution of responsibilities too complicated to explain here is making a bad situation worst. Meanwhile, the tremendous force of Margaret Thatcher hit the country and the overwhelming flood of Thatcherism brought Housing Act 1980 with ‘Right to buy’ legislation, where council tenants could buy the houses they rented at discounted prices. A hugely popular scheme which even the future Labour government was unable to repeal. This was not quite the catastrophy Robert Maxwell had in mind**, nevertheless the fate of Netherfield was sealed. As the whole estate was built for renting, the random ‘ownership’ ensured that the cancer of ‘beautifying and personalising’ the newly bought pieces of real estate was well spread and ensured the certain death of all laudable objectives architects stood for in its design. It seemed that Eaglestone was designed to withstand this very ‘man/woman made’ disaster. The proportion of rental and private ownership was hardly going to make any difference: on the contrary it was likely to improve the social homogeneity. The rest is history, the cries of ‘Jumble Brigade’ shouting “We told you so!” have been loud and clear since those days ensuring that no quarter is given to these architects/ intellectuals trying to introduce these poisonous doctrines to the land of William Morris. 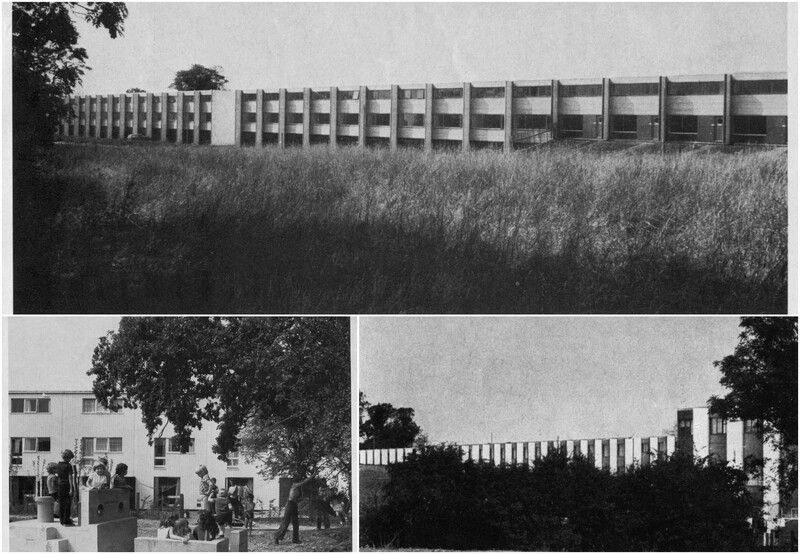 « Early Grids of Milton Keyne, Eaglestone and Netherfield, I. Architects’ approach.